PHILADELPHIA (AP) — After spending years building his persona as a model husband and father, Bill Cosby took an abrupt turn nearly 15 years ago with a now-infamous speech to an NAACP convention. He used his celebrity status to condemn poor African-Americans, chiding them to pull up their sagging pants, deriding them for having children out of wedlock and blaming them for their impoverished circumstances. 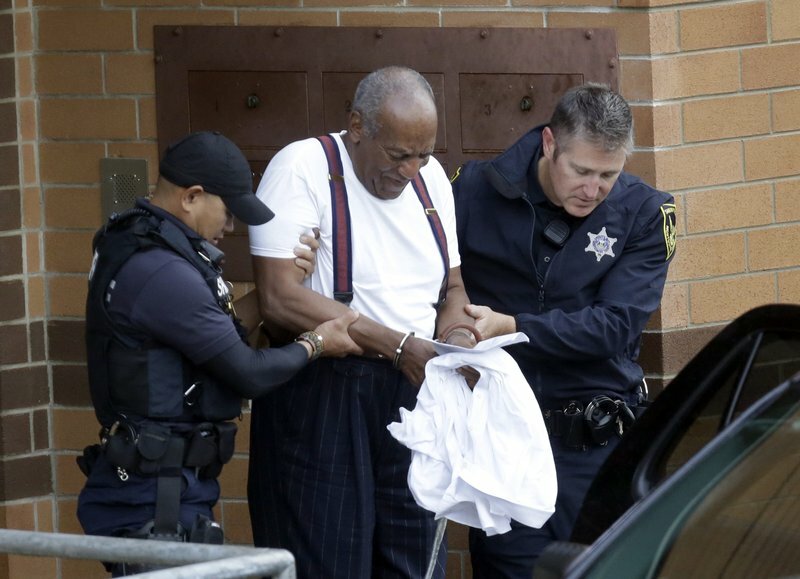 Cosby himself is now headed to a Pennsylvania prison cell, and many black Americans see his sentence as a moment of racial comeuppance. As they learned of Cosby’s three- to 10-year prison term for sexual assault, the same people who were his targets in the 2004 speech regarded his fate as a convergence of karma, hubris and hypocrisy. Some quoted Cosby’s own words in tweets announcing the sentence. Writer Michael Arceneaux said Cosby’s contempt for people who grew up in low-income communities, as Arceneaux did in Houston, left him with little sympathy for Cosby, who also hailed from humble beginnings. “I found it enraging,” Arceneaux said of the “Poundcake” speech, so called because Cosby make a remark about blacks supposedly getting shot in disputes over dessert cake. “I knew he was a hypocrite. To learn how much pain he has caused to women over decades . I find it ironic. Those speeches proved to be his undoing. I’m glad he got what he deserved,” he added. “The stark contrast between Bill Cosby, the public moralist, and Bill Cosby, the subject of serious allegations concerning improper (and perhaps criminal) conduct, is a matter as to which . the public has a significant interest,” he continued. Cosby pointed to systemic irresponsibility, not racism, as the root cause of what was wrong with black culture. But after his sentencing, spokesman Andrew Wyatt called Cosby’s trial “the most racist and sexist” in American history. He referred to the entertainer as “one of the greatest civil rights leaders” and accused the media, judge and prosecution team of prejudice against a black man. Cosby, who is 81 and legally blind, was the first celebrity of the #MeToo era to be sent to prison. The movement, which began a year ago, has centered around men in Hollywood, the media and politics. While several powerful men have lost their livelihoods and reputations, no one else has lost their freedom. Tuesday’s sentencing came amid a firestorm surrounding the Supreme Court nomination of Brett Kavanaugh, who is accused by three women of sexual misconduct as a high school and college student. Kavanaugh has denied all of the allegations and is expected to testify Thursday before the Senate Judiciary Committee, along with one of his accusers, Christine Blasey Ford. Rather than reveling in revenge for Cosby, the focus now should be on justice for all credible accusers, Columbia University political science professor Keith Boykin said. Whack is the Associated Press’ national writer for race and ethnicity. Follow her work on Twitter at http://www.twitter.com/emarvelous .